Altar of the Arcane Song: Welcome to Wolf: Faemore's Power Totem! Welcome to Wolf: Faemore's Power Totem! "May Wolf ever walk beside me and grant me rest in his shadow ... May his paws ever guide my path and my howls be heard by all ..."
Wolf is the spirit of freedom, and he helps me to realise that having individual freedoms also requires having responsibilities. Because Wolf is a teacher and a pathfinder, he comes when I need guidance in my life. Those who have Wolf as spirit guide, will move on to teach others about sacredness and spirituality. Wolf teaches me to develop strength and confidence in my decisions. He shows me that I will learn to trust my insights once I learn how to value my inner voice. This wisdom keeps me from inappropriate action. Wolf teaches me to learn about my inner self and to find my inner power and strength. 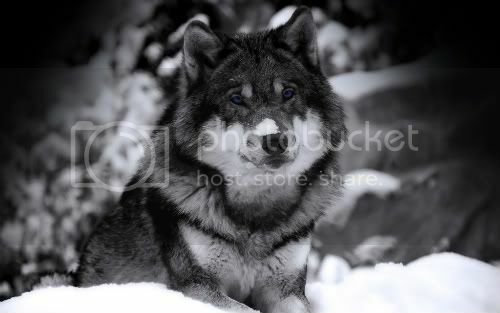 Wolf brings faithfulness, inner strength and intuition when he enters my life. He also brings learning to live with one's self. To achieve this I must take risks and face my deepest fears. Wolf demands sincerity. Wolf demands a lot of me but he gives me much in return. He gives me a spirit helper that is always there to help and he gives me extraordinary powers of endurance. Wolf reminds me to listen to my inner thoughts and to trust my insights. He reminds me to not waste resources, and to avoid trouble and confrontations. People with Wolf as spirit guide have the capacity to make quick and firm emotional attachments. 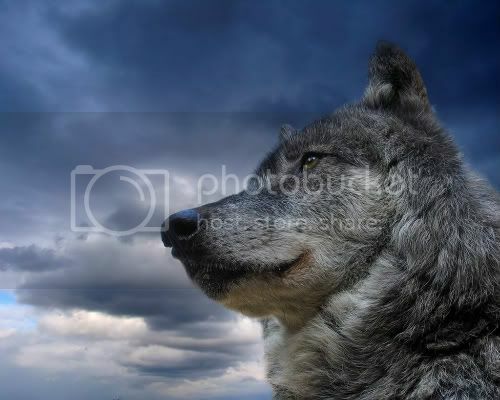 I always trust my insights about these attachments, because Wolf guides me. With wolf's help I can control my life with harmony and discipline. Look into the golden eyes of Wolf and wonder what inner Knowledge ignites the fire that glows from the depths of his mysterious eyes. He walks quietly through the world, slipping like shimmering mist through the forest of ancient trees, gathering Knowledge and attaining Wisdom forged in the fires of Experience so that he might return again to the Pack and Teach all that he has come to know. Wolf is the Soul that leaves the comfort and familiarity of the Pack, to travel out into the world of the unknown. The two-legged with Wolf as her spirit guide has an inner need to be of service for the greater good. Although the individual with Wolf as spirit guide enjoys the company of others, there exists as well, the need for time alone. 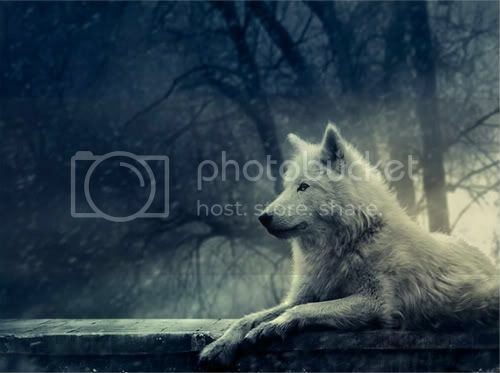 This lone wolf time will be spent in quiet contemplation and reflection upon the experiences of life before translating these - thoughts to form - and rejoining the Pack once more. 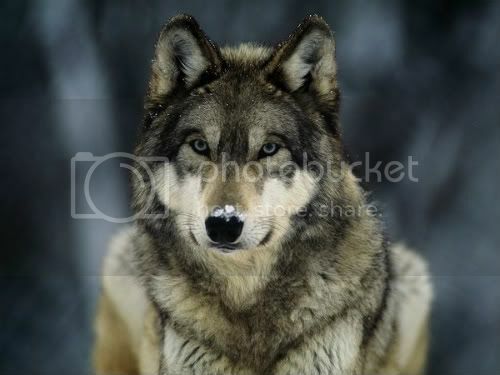 Wolf is a creature with a high sense of loyalty and strength. 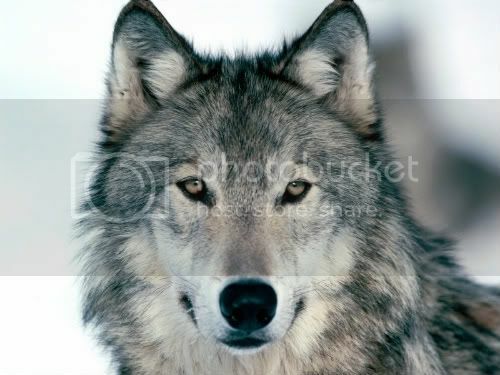 Wolf is a social creature, friendly and gregarious with its counterparts. Wolf is also an incredible communicator. By using touch, body movements, eye contact, and many complex vocal expressions - the wolf makes his point understood. Those with Wolf as spirit guide are of the same inclination - they are expressive both vocally and physically. Those who have Wolf as their spirit guide are naturally eloquent in speech and also have a gift for creative writing. Those who walk with Wolf often make excellent bards and storytellers. It should come as no surprise then that I write for a passion. Wolf belongs to those who truly understand the depth of passion that belongs to this noble creature. Wolf is a representative of high intellect, deep faith, and profound wisdom. Wolf is the pathfinder and guide. In the presence of Wolf, teaching is taking place. When Raven is present, the teaching is of the unseen world. 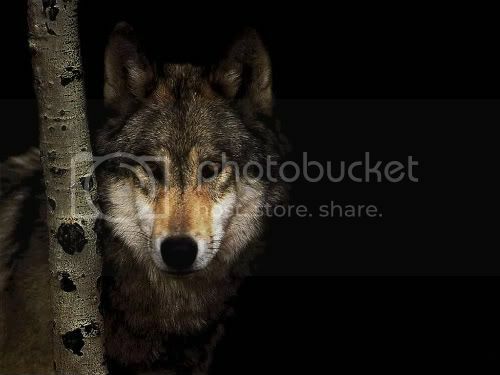 Wolf is a powerful, swift and cunning brother of the woods, and he is said to have a special relationship with his two-legged brothers and sisters. Stories abound about young two legs being raised in the forest by Wolves. Wolf makes powerful enemies of those who would destroy the fragile balance of nature. However, despite myths of his fierceness and blood-thirst, his sense of family is strong and loyal, and he lives by carefully defined roles and rituals. Wolf is the epitome of the Wild Spirit of Pristine Nature. Wolf is very ritualistic in many ways. He lives by carefully defined rules. He has specific territories and boundaries that are sacred to him. Wolf teaches me balance, how to use ritual to establish harmony within my life, and how to understand that true freedom requires discipline and the following of Natural Law. Wolf does not fight or attack unnecessarily; in fact he may often go out of his way to avoid trouble. Wolf does indeed have the capability of being fierce and of going tooth, fang and claw, but he doesn't have to demonstrate it. He is extremely powerful and strong, however often only a glance, posture or growl is all that is needed to determine dominance or keep the peace. Part of Wolf Magick is to learn who I am, to develop strength and confidence, and to know that I do not have to physically demonstrate or prove myself to others. Wolf is predator by nature. He travels great distances in his hunting, possesses the stamina and strength that enables him to cover these distances for extended periods. Wolf Magick tells me that slow and steady gets the prize, but that I have the capacity of speeding things along should it become necessary. Wolf will travel great distances in search of Truth and Knowledge and return to the Pack to teach and share his Magick. Wolf usually consumes all that he captures, to the point of gorging himself. This can indicate a need to make use of all that is available to me, and to make the most out of what I have. Wolf reminds me not to waste as much as he reminds me to keep my spirit alive and nourished. Wolf has a complex communications system using his body language. Those with Wolf as spirit guide are usually expressive with hands, posture, face or some other manner. Wolf also has a complex system of vocal communication. 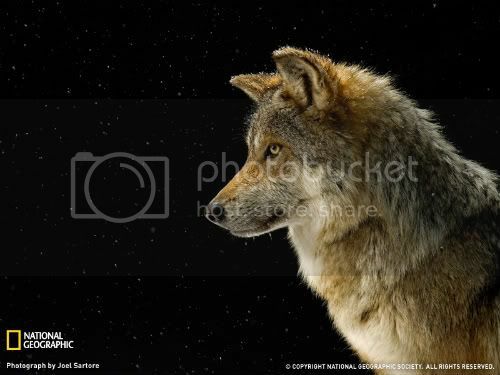 His howl is famous for having a variety of meaning: a signal to others, to locate the other members of the Pack, to warn, to mourn, to greet, to make territory, and at times to just howl for the sheer joy of howling. The poignant cry of the Wolf is the song that links this World with the one beyond, for Wolf is the Pathfinder. Wolf has extremely keen senses, specifically that of smell. This sense of smell endows Wolf with great Discernment, as the sense of smell has often been associated with Spiritual Idealism in metaphorical circles. Wolf also has excellent hearing sensitivity, and he reminds me that I should listen to others, especially those closest to me, and also to myself, to my most inner thoughts and words. This strengthens and enhance my own intuition and discernment. Wolf brings with him a strong sense of faithfulness, inner strength and intuition. He also brings learning. Sometimes one needs to cross barriers, take risks, go beyond the limited compass of 'normal' behaviour in order to learn and grow; although crossing these boundaries may seem repugnant, and even painful at times. However, I cannot fear the inner power and strength I feel when I spend time alone. Instead I must come to know my deepest self, and even in the darkest places, with Wolf as ally, I will find closeness and spiritual companionship. I am never alone. Above all, Wolf will teach me, through my experience, to trust myself and not fear and reject those parts of me that I don't yet understand or know. Wolf will guard me as he teaches, sometimes gently, sometimes strongly if not harshly, but always with love. 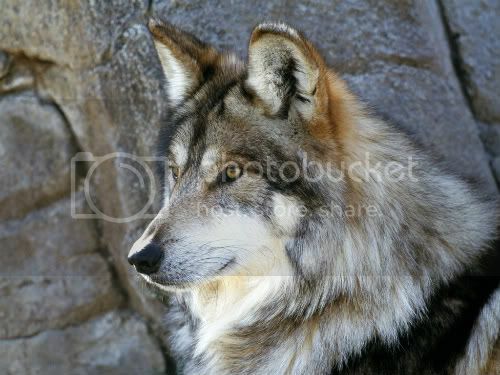 Wolf is a shy, yet very sociable creature with strong rules of behaviour. If you were to keep company with Wolf you would find an enormous sense of family within him, as well as a strong individualistic urge. Even though living in a close-knit pack provides Wolf with a strong sense of family, he is still able to maintain his individuality. Wolf is Teacher of the clan and of the tribe. We study his ways of hunting and social structure. Wolf is connected with the Dog Star, Sirius, and some cultures believe that humans came from this distant star. Wolf has much to teach us, if we will only listen. As a Celtic symbol, Wolf is a source of lunar power. Celtic lore states that Wolf would hunt down the sun and devour it at each dusk so as to allow the power of the moon to come forth. Wolf is associated with lunar influences, and the energies that rule psychic perception. He teaches me to respect my emotions, the wildness of my animal nature, and to willingly face the darkness within. He teaches me to trust in the unspoiled nature of my inner child and wolf self. When Wolf enters the forest of my mind, it is to teach me that all things have a natural order amid chaos, and to accept my duties in life, whether they be leadership roles or otherwise, with humility and strength. When Wolf enters my psyche, I am fortunate to have a spirit guide who knows the importance of communication, one that will find many ways to make his messages known to me. His ability to communicate is a sign to hone my own speaking skills, to effectively relate my own feelings and ideas, in the right way, and to pray, sing and dance in praise of the blessings of the Creatrix. 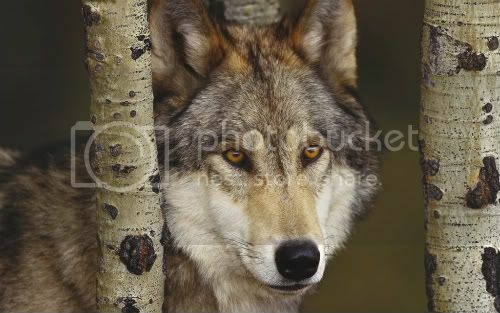 When Wolf is seen alone in the wild it symbolises freedom. His primal, piercing howl marks his territory boundaries, telling me to stand my ground and defend my own. Wolf has great stamina and strength. However, he does not fight needlessly, and often avoids fighting whenever possible. He teaches me to know who I am, and to develop strength and confidence. Wolf is also ritualistic. He knows the importance of regular lunar howling ceremonies, and daily social rituals designed to communicate needs and express feelings. The message of my wolf spirit is to honour the forces of spirituality and to connect with the life forces of Mother Earth. Wolf is the great teacher of humanity and keeper of the night. He is here to help me to adapt to change as he adapts to his environment, embracing the coming seasons, and the availability of food. From birth those who walk with Wolf, are forever transforming as they meet the experiences of their world, embracing the changes and the lessons it brings. Wolf shows me the value in transformation. Speak from the heart, Wolf relaxes. Speak from the intellect, Wolf becomes tense. I cannot hide anything from Wolf. Wolf teaches me to embrace lunar energy, to respect my psychic urges and unconscious desires, and to be aware of and accept my keen intuitive and psychic perceptions. Those who walk with Wolf are proud, they are lovers of the night, and have a wild streak in them which allows them to live on the fringes. Yet familial connections keep them grounded. Wolf teaches me the importance of and inspiration in connection, cunning, dreams, facing fear, freedom, intuition, teaching, guardianship, group consciousness, hunting, independence, individuality, inner strength, introspection, knowledge, leadership, listening, magick, path-finding, psychic energy, risk-taking, seeking, shape-shifting, spirituality, stamina, stealth and wisdom. In many Native American traditions, Wolf is considered to be the highest spiritual teacher in the kingdom, even above the hawk and the eagle. Wolf is loyal to a fault. Some she-wolves have died trying to save their own pack members from danger, when they could have run away and saved themselves. Wolf is territorial, and not afraid of fighting for his home or pack. Wolf can be jealous of those he does not know or trust, and will often try to put himself between his home and family, and others. This is an act of protection, not possession. He is also always on guard to sense the slightest changes and shift in energy, for good or bane. When not threatened and when treated with respect Wolf will allow others to get close to him and his pack. However, when approached with deceit, or hidden agenda, he will often pick up on that scent and be wary of the contact. Often this "feeling" will appear much earlier than others. Wolf has good ears for listening to the most intricate details, up close and far off. This early warning kicks in, even when the energy is at a far distance and has not yet arrived. When you cross the path of Wolf, he often knows you've been coming for a while. Those who walk with Wolf as their spirit guide are often around others who are like-minded, with those who are equally spiritually active, and we often back this family of friends to the point of getting ourselves into a fight. However, our territorial nature often tends to come out in our relationships as well. When we work on project after a significant amount of effort, we can get upset when someone crosses a line and tries to usurp it from us or infringe on our part of the process. This is often mistaken as possessiveness, when in actuality it is more often a sense of danger or foreboding. We want to protect what is ours, from those who would have it when it is not theirs. Above all we want to protect our mate, and our family. Wolf walks beside me to show me my innate ability to "sense" and to "see" spiritual undercurrents and lessons. To understand that I am not ever alone, for I have many "family" members to rely on. For as long as I can remember I have had recurring dreams about Wolf. Although I didn't understand it when I was younger, the dreams are here guide and assist me. In them I am asking Wolf for strength and courage. In them I am asking Wolf to help me to see the nature of an issue from spirit so that I can learn why it is occurring, and how to proceed. Wolves are considered by many to be the highest animal in the spiritual plane. They represent the teachers and the guardians of the balance in nature within the Divine Universe. They are spiritual messengers in animal form, between the Divine force and incarnated beings. Wolf is a pathfinder. He is a bringer of new ideas, returning to deliver teachings, and to allow us to learn and participate in knowing our spiritual heritage and path, sharing his magick. Wolf teaches us loyalty. If we follow him we can learn loyalty. The wolf pack provides an enormous sense of belonging and family, yet even within the pack Wolf still retains his individuality. In my spiritual development, I look for teachings from Wolf, my spiritual guide. He is my brother, and he would not come to me without me making a request to the path-finder for his appearance in my life. He is partnered by the moon when he comes. By howling at the moon Wolf asks me to seek connection with new ideas which lie just below the surface of my waking mind, to look into my unconscious, to release powerful energies. By doing this, and discovering him within, I am encouraged to become a teacher, a tutor to all people, to aid them in understanding the mystery that life brings us. It should come as no surprise then that I teach for a living. Wolf comes to teach, and to endow the gift of wisdom on those who will take the time to listen to his teachings. It is said that when you have travelled every path and located those that lead nowhere, you will truly know your territory. In discovering this, a simple true is revealed, that nothing stays the same, all things change as Nature intends. Wolf may tell me to seek places to be alone. In these places, in the absence of other people, brother Wolf may reveal himself and allow me to see my inner spirit guide and teacher. This in turn can deliver a vision of the true being I am and will become. Wolf will always urge me to seek teachers and pathfinders that will provide me with ways to achieve new life experiences. I will remember that teachers and way-finders can be the tiny voice which comes to me from within, or a lesson in the form of a stone, a book, a cloud, a tree, another person or the Great Spirit that binds us all as one. Ritual is very important to Wolf; both daily ritual as well as the more significant rituals of lunar howling. Those who walk with Wolf will feel more in tune and attuned when they honour and relink with the life force. 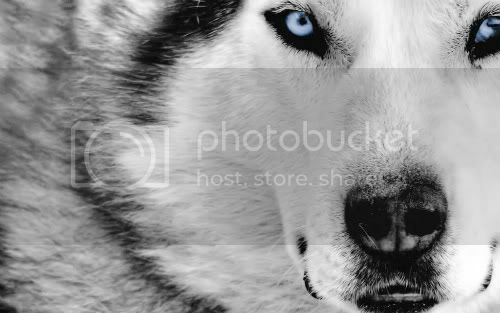 When Wolf appears it is time to breath new life into my life rituals; find a new path, take a new journey, take control of my life. I am the creatrix of my life. I inspire it and I direct it. When I do so with the harmony and discipline of Wolf, I know the true spirit of freedom.